In Acronis True Image clone wizard you select the source drive. Source and destination drives have different logical sector size. Acronis True Image can clone one drive to another only if both drives have the same logical sector size. Go to Start. In search, type msinfo32.exe and press Enter. Navigate to Components -> Storage -> Disks and find the desired disk. Compare the logical sector size of both disks. If they differ, cloning is not possible. 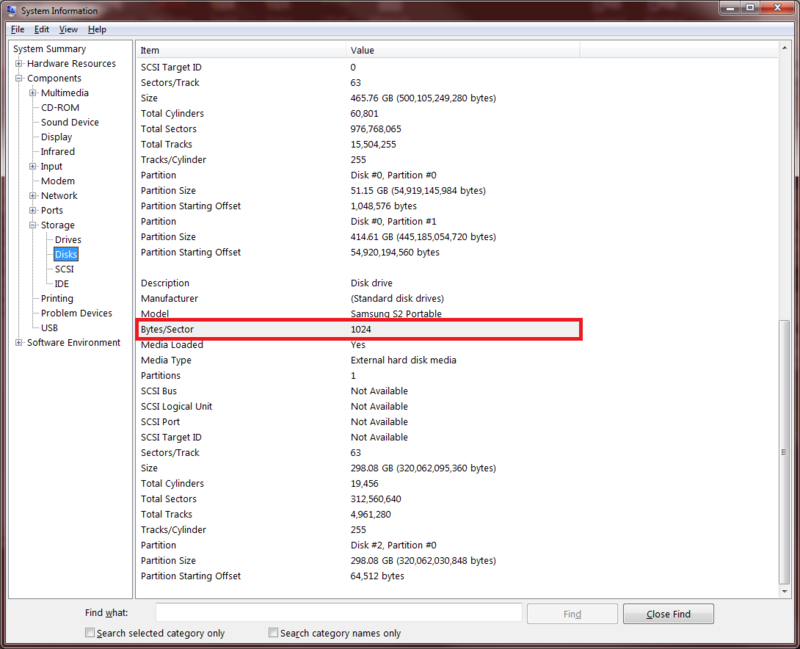 Alternatively, you can collect system information using Acronis bootable media. Save the generated system report. Open the archive, and then open disks.txt. Compare Logical Sector Size of both disks. If they differ, cloning is not possible. Select another disk as target. Both source and target disks should have identical sector size. See also Cloning Laptop Hard Disk.